How can something you can’t feel hurt this much? That was the question that ran through my mind as my frozen fingers tried to adjust the settings on my camera. After a few more seconds of fumbling I gave up, shoving them back into my pockets in a futile attempt to get the blood flowing to my numb fingers again. The sun was setting, and the entire world looked like it was on fire. The atmosphere around me sparkled with the brilliant golden hue of a billion little ice crystals reflecting the sun’s light. Normally I’d panic at this point, knowing that I was missing the shot. But not now, not in this place. This particular sunset would last all day. Or at least all three hours of it. Days are short in the arctic circle during January. The sun only makes a brief appearance, barely making it up above the horizon before retreating back to its winter slumber. The result is a perpetual sunset during those few hours of light - and sub-freezing temperatures. About -28C to be exact. To an outsider it can be hard to believe that people choose to live in these harsh conditions. And yet, Nordic countries are known to be some of the happiest on earth. Which got me thinking, perhaps they understand something the rest of us don’t. There are a number of theories behind the region’s somewhat counterintuitive happiness, but most attribute it to a combination of socialist politics, beautiful scenery, and an active interest in well-being. This particular combination of distinctly Nordic features also makes Finland one of the more eco-conscious cultures on the planet. Sustainability is built into the fabric of the north. As the sky turned an even more impossible shade of pink, and the glow around me expanded to envelope the entire sky, I felt a wave of clarity - the cold, the colors, the contentedness. It was all connected. I understood the desire to protect this beautiful place—this feeling—now, and well into the future. The thought made me happy. Perhaps the inhospitable conditions make the truth easier to see—in order to survive, we all must learn not just to work with each other, but for each other. Despite its obvious beauty, before Nokian Tyres reached out to me, I had never given Finland much thought as a travel destination. Truth be told, I’ve never been much of a cold weather fan. But something about their invitation to visit the world’s northern most tire manufacturer sparked my interest. There was little mention of the product in the email—this wasn’t your typical pitch. Rather, I was presented with the opportunity to take a beautiful journey. A journey through the stunning landscapes and extreme conditions that I would later learn shaped the corporate culture at Nokian Tyres. A culture deeply rooted in the Scandinavian values of sustainable safety and eco-friendliness. Now, a few days into the trip, as the sky continued to burn outside we approached the epicenter of this ethos—“White Hell.” Located in a remote corner of Finland’s Lapland, White Hell is Nokian Tyres testing center. The red sky took on a more ominous appearance as we approached, but after passing through the gates it was immediately clear that despite the name, there was nothing demonic about this place. White Hell, like everything else in Finland, was nothing short of a winter wonderland! Numbers don’t lie, and in this sparsely populated country of 5.4 million people, there are 3 million saunas and counting! That’s a lot of saunas, and a good indication of their importance in Finland. Used to cleanse the body and mind, Saunas are a way of life in Finland, and an integral part of the national identity. In fact, many Finns believe that you can’t truly understand the culture until you have experienced a traditional wood burning sauna. If you’re in the capitol when temperatures drop into the negatives, and darkness envelopes most hours of the day, head to the sauna at Löyly. This modern architectural masterpiece is powered entirely by solar and wind power. When the sea freezes there’s even an avant (ice hole) you can plunge into to jump-start the nervous system! Finns believe that regular cold water swimming increases both life expectancy and overall quality of life—among a myriad of other health benefits. It also gives you a pretty nice endorphin high! The best way to try ice swimming is in conjunction with a sauna. The two go hand and hand, and rotating back and forth between the freezing cold water, and the warm sauna will leave you feeling like a new person! Suomenlinna fortress is a UNESCO World Heritage site located a short ferry ride from the center of Helsinki. Over its history this important cultural treasure has served in the defense of Sweden, Russia and Finland. Today, the fortress and its museums, restaurants, and events make for a lovely day trip from Helsinki. Take the ferry, and enjoy views of the city the entire way! The “northern lights” are caused by collisions between fast-moving particles (electrons) from space and the oxygen and nitrogen gas in our atmosphere. There is no guarantee that you’ll get to see this spectacular display, but you can increase your chances by staying in one of the many accommodations in the Finnish Lapland offering glass ceiling rooms. Perhaps the most famous are the glass igloos at Kakslauttanen. But there are tons of other fantastic options, including the brand new Star Arctic Hotel - where I stayed. The best part is, even if the aurora doesn’t come out to play, you can enjoy the beautiful arctic sky from the comfort of your bed! I have a confession to make - up until a few years ago I actually didn’t realize that reindeer existed outside of Santa Claus lore. Not only are they real, but in Lapland there are more reindeer than people. They may not be the mythical flying creatures from my childhood, but an encounter with a real life reindeer is nothing short of magical. Sami are the indigenous people of Lapland, and live throughout northern Norway, Sweden, Finland and Russia. Their rich culture is intimately tied with reindeer herding, and the nomadic lifestyle that herding traditionally required. Although the Sami are no longer nomadic, reindeer still play an important role in the Sami’s day to day lives. The opportunity to learn more about their culture is one of the best parts of any reindeer encounter. If you’re lucky you might even get to here a “joik,” one of the oldest song traditions in Europe! The Finnish wilderness is an incredible place to escape civilization and truly get away from it all. But in the dead of winter, when there’s snow everywhere, it’s not all that easy to go anywhere! Unless you happen to have a bunch of dogs anxiously waiting to enthusiastically pull you through the snow on a sled. And that’s exactly what you get on a husky safari. That, and a really good time! Like any activity involving animals, it’s important to do your research beforehand, ask questions, and make sure the animals appear happy and healthy. Wearing Back Country’s Cirque Insulated Jacket, Sundial Tight, & The North Face Shellista Boot. It’s essential to pack appropriate gear for a winter trip to a destination with extreme weather. Being freezing cold is no fun, and if you’re not prepared it can put a major damper on your experience. Luckily, it’s not hard to protect yourself against even the gnarliest of conditions, as long as you pack a few key items. The best way to stay warm, is to dress in layers - a base layer worn against the skin, a middle insulating layer, and an outer layer. Base Layer - My favorite base layers are generally soft to the touch, form fitting, and made with wool (or a wool blend fabric). This top from Backcountry, and this one from Smartwool are my favorites. Insulated Layer - For the middle insulated layer you want something that will keep you warm on its own, but can comfortably fit under your outer layer when the temperatures really start to dip. For Finland I brought my Patagonia Quilt Snap-T Pullover and Backcountry’s Cirque Insulated Jacket. Outer Layer - For most cold weather trips I’d recommend bring two different outer layers. A heavy down parka like this one from Fjallraven was my go-to for most activities in Finland. But I also brought a hard shell jacket for more strenuous activities. Backcountry’s Pfeifferhorn Jacket is the shell I use for winter hikes, snowshoeing, and skiing. Fleece Lined Leggings - As long as my core is warm, my legs also stay pretty warm. Because my legs generally don’t get too cold, I like to forgo bulky snow pants for most cold weather travel. Instead, I wear fleece lined leggings. Lately I’ve been using these pants from Backcountry. They are great on their own, but could easily fit under heavier pants if needed. Gloves - My hands and feet get cold very easily. To combat this, I like to bring a thinner pair of gloves, and layer them with a heavier set of mittens. When that’s still not enough, I stuff a hand warmer between the two layers to help out! Warm Socks - My hands and feet are the first things to get cold, so good warm socks are an absolute must. I prefer wool because of it’s inherent breathability and moisture wicking properties. This pair is super cozy! Boots - It’s also really important to have a solid pair of insulated snow boots that will keep your feet warm and dry. I’ve owned these classic snow boots from Sorel for years and really like them. But for travel I prefer these boots from The North Face because they’re lighter, and less bulky to pack - but still super warm (and cute)! 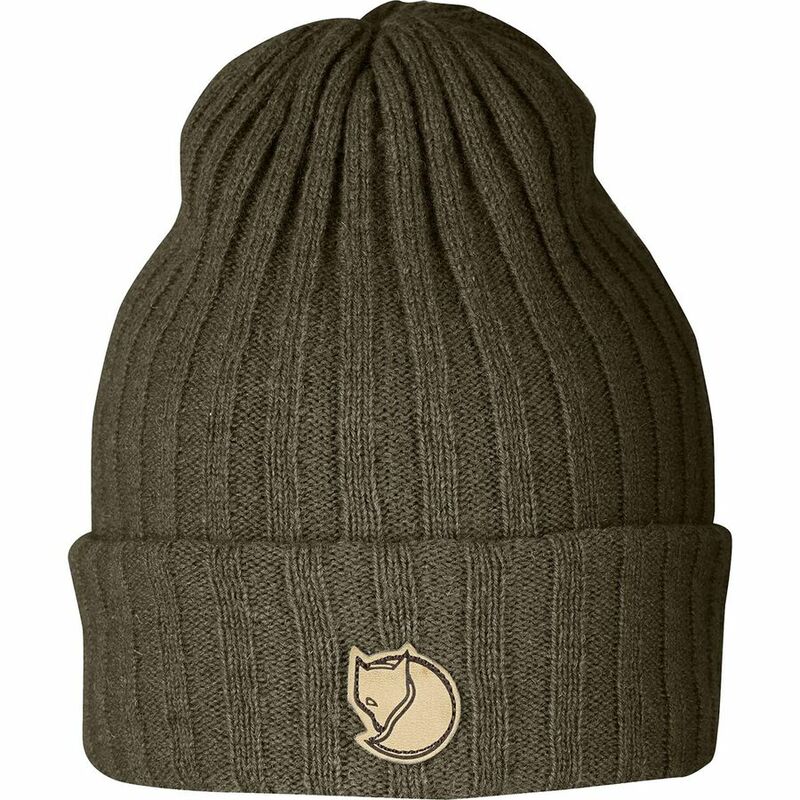 Beanie - A warm beanie is a must! In extreme cold-weather conditions you lose a lot of body heat through your head. This can trigger blood vessel constriction throughout the body, making your hands and feet feel cold even if you’re wearing gloves and warm socks and shoes. I hope this list will help you stay warm and comfy if you ever have the opportunity to visit Finland! It’s a truly beautiful journey that I wish everyone could experience at least once in their life. Special thanks to Nokian Tyres for organizing a trip that was not only beautiful, but also taught me a thing or two about nordic culture, sustainability, and happiness! Photos created in collaboration with the one and only Quin Schrock. Please note that some of the links on my website may be affiliate links, and I may earn a small commission on any purchase made - at no additional cost to you. As always, I would never recommend anything I wouldn’t use myself, and all ideas and opinions expressed are entirely my own. Thank you for your support! Other Blog Posts You Might Like!